Blog Tour Day 4 & I Won A Contest! 4th Day of the Married To Murder Blog Tour - isn't it exciting? Today I can be found at Cecilia Robert's Written Word Blog. She also wrote a great review of Married To Murder. Well, I happen to think it's great. I love it, in fact! I won a 'stupidest business idea' contest on the Car Johnson Blog! Whew - a big day. 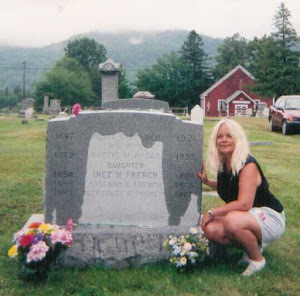 Day Three of the Married To Murder Blog Tour - at Emily Mayhem's Blog Divine Chaos. What's your ideal office set up to write or get work done? 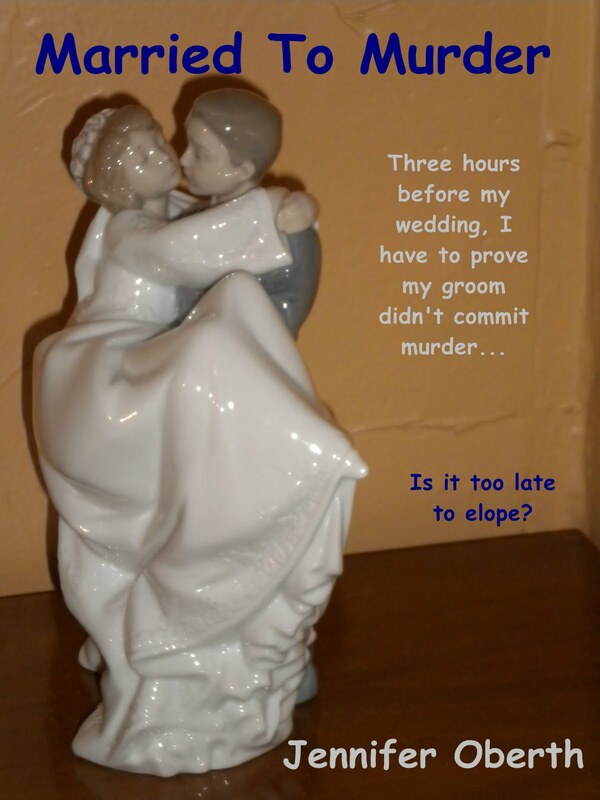 It's the second day of the Married To Murder Blog Tour! Blog Tour, Birthdays & Anniversaries - Oh My! My first Married To Murder Blog Tour stop is at Fiction With A Purpose, Brenda Youngerman's Blog. 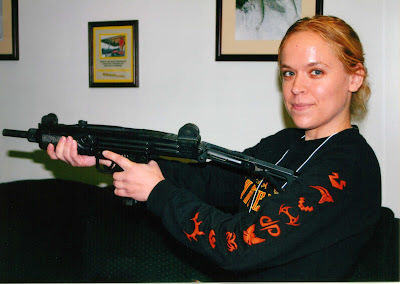 She interviewed me and posted a review of Married To Murder. It's also my grandma's birthday today. Happy Birthday, Grandma! I love you!! And it's the 6 month anniversary of my sister's wedding. They've been married for 6 months now - it's incredible!! Congratulations, guys! Here's to another 80 years!! 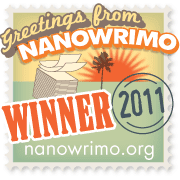 UPDATE: Oh, and I'm a NaNoWriMo winner again this year! Kris Wampler is the author of Love Train. The reviews are good - check it out! Have you read Who Murdered the Ghost? It's a great short mystery at 99 cents. And thank you, John Hansen of The Incessant Droning of a Bored Writer for helping to organize the Blog Tour! Maria Zannini is wanted for questioning in the case of the Disappearing Fiction Writer. Her husband, Greg was the first witness we brought in for questioning. Q. How often do you see your wife? Is it true she doesn’t write when you’re at home? A. I see her a couple of times a month. And yes, when I’m home she spends most of her time with me unless she has a deadline to meet. If you don’t hear from her in her usual social circles, she’s either working—or putting me to work. Q What is it we keep hearing about her nonfiction work? Why has this cropped up all of a sudden? A. It’s not really all of a sudden. I’ve been nagging her for YEARS to write nonfiction rather than fiction. She’s really good at it too. Years ago she wrote for a national magazine about rheas and emu. We got letters from all over the world wanting her to tell them more. I was never happy she got interested in fiction. That’s like the most thankless job in the world. Q. Maria writes an awful lot of steamy romance novels. Does that ever bother you? A. Have you read her stuff? That woman can curl my toes from fifteen feet away. We then brought in two witnesses who are known confidantes of Maria Zannini. Her dogs: Tank and Iko. Q. Tank, you've got the dog's eye view on things - have you noticed any unusual Google searches on Maria's computer? A. Do I know you? You smell like a cop, a cop with no cookies. Bug off. All right. We’ll try Iko. He looks friendlier. Q.You, Iko. I hear Maria locks you in a cage when she goes out. Does she do this to keep you from snooping on her computer? A. Not the computer—the furniture. But I haven’t been in prison in months. I’m reformed. No more furniture chewing for me. I’ve seen the light. Q. What has she written recently that gives you 'paws' for concern?" Oh, oh. Here comes Tank again. Man, that’s a big dog. Tank: Didn’t I tell you to shove off? Iko: She was asking about mommy. Tank: And what did mom tell you about strangers? Iko: :hangs head: Oh…yeah. Move it, buddy. We’re not allowed to talk to strangers. I can see I'm barking up the wrong tree here, let's move on to the outside of the house. Nothing here but trees and chickens. Q. Hey, you! Chicken! Can you confirm or deny if poultry disappearances have anything to do with Maria’s next book? A. Bwaak! We’re getting picked off one by one—but only the roosters. One day me and Carl were strutting around, acting, cocky, checking out the ladies (if you know what I mean). The next minute—whoosh. Carl was gone. I looked everywhere for him, but all I found was a bloody trail. I don’t know nuthin’ about no book. But if I’m in it, I hope she spells my name right. Q. And what is your name? Ah-ha! This Tweet has led me to Maria herself. Bring her in, boys. I see you’ve had to hog-tie her. We knew she wouldn’t come peacefully. Q. So, Maria...What's this we hear about future projects and non-fiction work? Aren't your paranormal romances doing great? The reviews are spectacular. Are you giving it all up for something new? A. Your hands are empty. Do you need a shovel? If you don’t mind I’ll ask the questions. People want to know what you’re working on. A. I haven’t turned my back on romance. 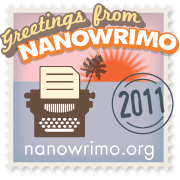 I suspect there will be two and possibly three romance novels in the works in 2012. But I really want to concentrate on one of my favorite topics next year. It’s an entire series of books on frugal living, from budgets, to shopping, to pet care. The only topic I won’t cover is kids. They scare the bejeebers out of me. Happy now? Good. Now grab a shovel. I’ve got some bodies to bury. Bio: When she's not hunting scorpions and chasing after zombie chickens, Maria’s often at her keyboard telling stories or blogging about her current homestead projects—where it's anyone's guess what body part she'll lop off next. 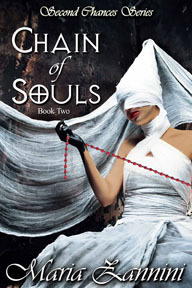 Her latest books are The Devil To Pay and Chain of Souls, Books 1 & 2 of the Second Chances series. Between work and NaNoWriMo, I've been falling behind in my online duties and haven't been e-mailing, blogging, facebooking, tweeting or any of the other 'ing'ing there is to do around here. And missing visiting YOUR blogs and commenting! I'm doing great with NaNoWriMo'ing, though. Even though I didn't write one word on Tuesday or Wednesday, I'm still ahead of the game with well over 20,000 words. At 1,667 words a day (to reach 50,000 words by Nov. 30), I'd only have to be at 16,667 by the end of today and, as I said, I'm well over that. And I'm about to hit the books for another three hours. As well as do the dishes, take out the trash, deal with the kitty-cleaning and so on and so forth. On Thursday, December 1, I've got guest blogger Feliza Casano. She'll be telling us about the benefit to authors of social media. Fun stuff coming up! Keep checking back. I've got more to tell you about the Writer's Police Academy but haven't the time to do justice to the posts so you'll have to wait a bit on that. I'm still posting pics related to the WPA on Wordless Wednesdays. I've got a Blog Tour coming up, too! I can't wait for that. I don't have the details yet but it should start later this month. (If you're interested in hosting me and being a part of the Blog Tour, let me know and I can add you, too.) John Hansen is organizing it for me and he is great! Check out his blog, The Incessant Droning of a Bored Writer. It's fun and cool.